Monica Carter Couture has launched. Monica Carter brand is a consummate business woman, entrepreneur, author, and licensed real estate strategist. In 2015, despite not having all the resources, she stepped out on faith and made a bold decision to fulfill a passion burning inside of her since she was a child, which is to launch her own high fashion Couture line. Any event Monica attends, everyone always compliments her high couture dresses she wears so flawlessly. Monica has always been a fashionable, ambitious, and intelligent woman. When she walks in a room, some may mistake her confidence and infectious personality with arrogance. Make no mistake, her heart is big, but she’s a woman who does not do anything mediocre, nor does she accept anything less than the best from those who work for or with her. Monica’s first campaign is launching a few signature/exclusive Monica Carter tops for women and her ultimate goal is to create Couture dresses and other apparel that will be so exuberant that any woman would come alive wearing her high fashion. A shoe line will also be a part of Monica Carter Couture future strategic plan, so watch out for this woman who you will see on the high fashion run-way one day very soon. Monica has a tag line; “Pink on High with a Purpose”. 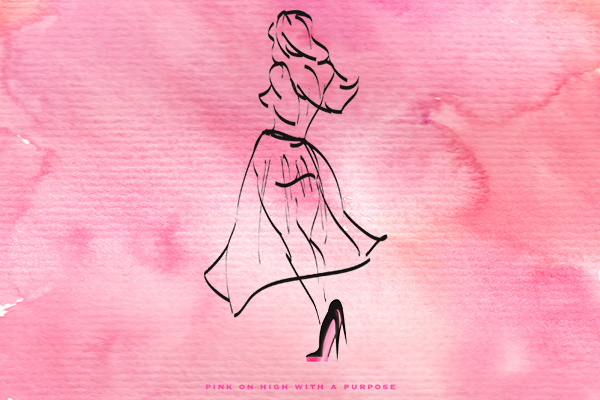 Pink is her favorite color, ‘on High’ is her faith and ‘with a Purpose’ is empowering women. Monica's platform is not just about her passion, but she is very passionate about her purpose in life to empower women and ensuring they know no matter their ethnicity, culture or environment, they too can be fabulous and feel awesome inside and out. Everything she does is centered around helping women and now she has created her own platform where she can be a part of many campaigns for empowering women. A portion of Monica Carter proceeds will be donated to women battered shelters and other women organizations, such as the cancer, etc. Checkout Monica's interview on her website to hear this phenomenal woman speak about the purpose of Monica Carter brand. Monica is a woman that can do it all and some may wonder how she even does it? First and foremost she is a woman whose foundation starts with her faith. Her motto . . . "I can do all things through Christ, who strengthens me." Everything she does may look glamorous and easy, but behind every aspect of her life has not been without challenges, obstacles and many sleepless nights, but through it all her foundation has held her up and she never gave up! To receive the latest Monica Carter Couture news be sure to follow the on Facebook, Twitter, YouTube and on Instagram. Disclaimer: This post is sponsored by Monica Carter Couture ― pink on high with a purpose. Thank you for supporting posts that keep Style For Mankind running!